Pulp heroes, like the Shadow, were one of the biggest influences on Bill Kane and Bob Finger when they first came up with Batman over 75 years ago. And now, out of the blue, the Dark Knight is teaming up with the legendary detective for a new crossover series. Revealed through The Hollywood Reporter today, the appropriately titled Batman/The Shadow (written by Scott Snyder and Steve Orlando, with art from Riley Rossmo) is a new six-part collaboration between DC and Dynamite Entertainment, and sees Batman track down the murderer of a Gotham citizen to the trail of a man who’s been dead for half a century. Little does Batman know, however, that that man is Lamont Cranston—the mysterious Shadow himself. And naturally, the Shadow isn’t going down without a scrap or two, even against Batman. It’s not actually the first time Batman’s met the Shadow—the two teamed up for two issues in Batman #253 back in the ‘70s—but decades after their last pairing, it’ll be interesting to pit one of comic’s most famous characters against the legend that inspired a whole generation of heroes. 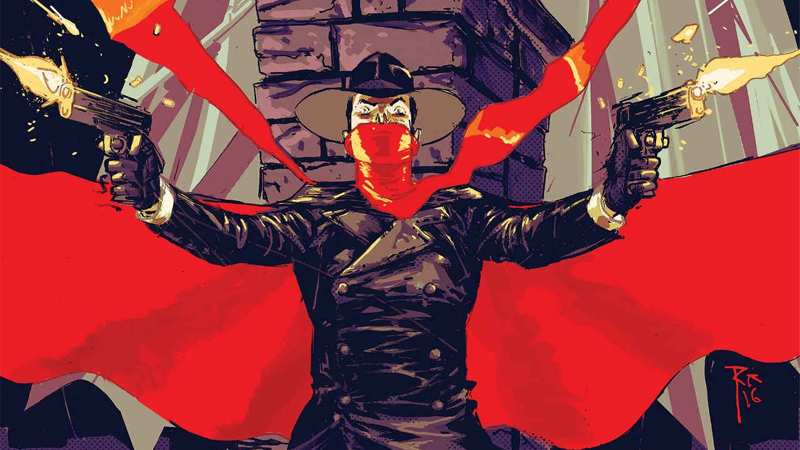 Batman/The Shadow #1 is due to hit stores in April.